ABERDEEN – Fourth-graders used small robots to move rovers around a replica of the surface of Mars, which they created on their classroom floor. Annelise Lakatta and Cameron Blackburn, eighth-graders aspiring to STEM careers, discussed favorite aspects of their education. Children of all ages engaged in activities included using spaghetti noodles and gumdrops to design models of Mars rovers; projecting constellations onto walls; and coloring paper rockets, while discussing the best ways to make them fly. 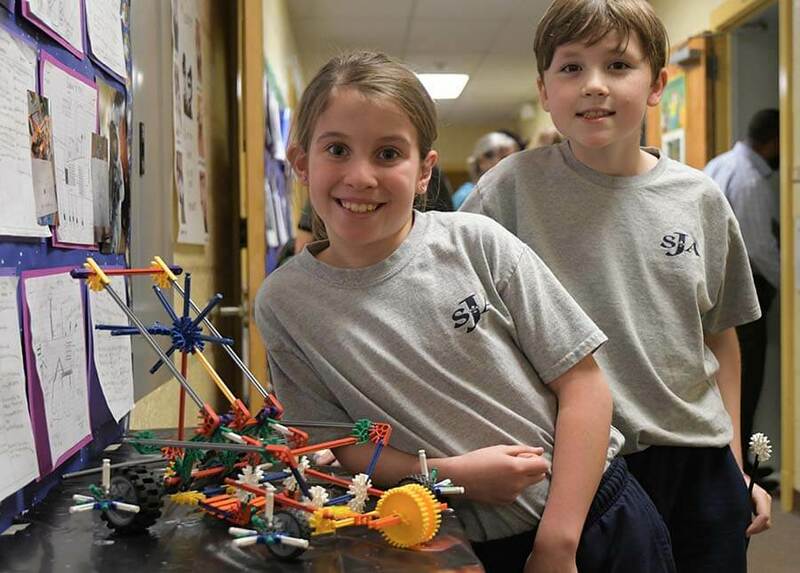 Students from PreK-4 through eighth grade at St. Joan of Arc School in Aberdeen participated Nov. 4 in the Maryland STEM Festival, an annual program held across the state over a two-week period. At St. Joan of Arc School, classes shared projects and hands-on activities centered on the middle school edition of “The Martian,” a fictional novel about an astronaut who uses scientific principles and technologies to survive on Mars. The story gained popularity with the 2015 film starring Matt Damon. The theme for St. Joan of Arc’s school year is “God is Creator of the Universe.” Students are applying skills such as mapping and coding in unique ways, especially by focusing on the planet Mars. The Archdiocese of Baltimore named St. Joan of Arc a STEM school in 2011. In June, the school became the first in the archdiocese to receive a STEM Endorsement from Notre Dame of Maryland University. Smart Boards and computers in all classrooms; a LabLearner Science Lab; a mobile laptop cart; two mobile iPad carts; and school-wide Internet access points create an environment conducive to STEM learning. Preston has noticed changes in himself, as well. 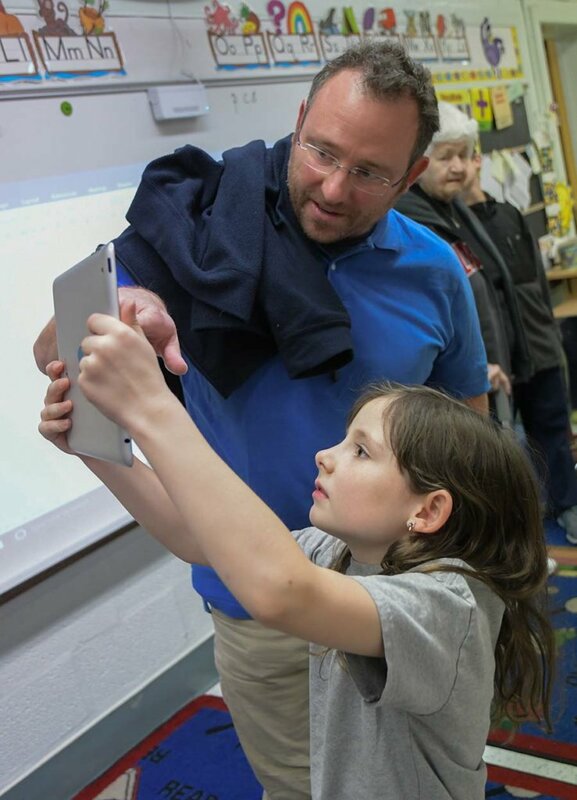 First-year instructor Michael Adamowski, who teaches fifth-grade science, math and religion, said that the hands-on approach to learning makes it fun for the students and provides them with the 21st-century skills sought by employers. The school’s proximity to Aberdeen Proving Grounds (APG) provides a unique opportunity for students, as APG employees engage in outreach to the school to assist in teaching certain lessons. Many students have parents in STEM fields, as 18-20 percent of St. Joan of Arc families include a parent in the military; and other parents work for government contractors. St. Joan of Arc incorporates STEM into all subjects, including the fine and language arts. Bahr said that St. Joan of Arc is not just a STEM school, but more accurately a “STREAM” school – science, technology, religion, engineering, the arts and math. 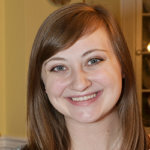 According to Robyn Barberry, the art and sixth-grade language arts teacher, her students learn that just because you are a fan of STEM, does not mean that you cannot appreciate or enjoy art.